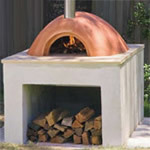 A brick barbecue will enhance any outdoor patio or family gathering area. Some basic construction knowledge is necessary - building a concrete pad and laying bricks. In many cases the heart of the brick barbecue is provided by a standard, pre-built gas or charcoal barbecue insert that has been incorporated into the brick structure. Usually the bricks are no more than a facade around the exterior of a pre-built barbecue. In almost all cases it is important that you know what grill you will be using, before you buy material and start construction, in order to adjust the size of the brick barbecue shell accordingly. Before you start your planning, contact your local building department to discuss any codes that may be involved in the construction of a brick barbecue and show them your brick barbecue plans. Always read the brick barbecue plans carefully and make sure that there is enough information provided for you to be able to complete the project - before you invest in materials. Some of the plans are excellent, giving a great deal of instruction in text, pictures and drawings while other plans are only drawings and still others are only sketches. These brick barbecue plans are for the intermediate to expert home handyman. Selection of manufactured cooking grates . 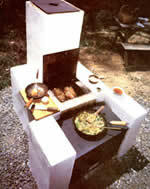 Popular Mechanics has brick barbecue plans using a gas barbecue insert. 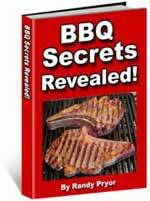 These are brick barbecue plans for a smoker that does not use an insert. 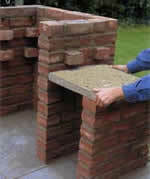 These are brick barbecue plans and designs created by a home handyman that does not use an insert. These brick barbecue plans include a materials list. 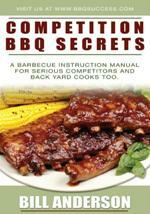 Simple brick barbecue plans - not a lot of detailed instructions - lots of build pictures. 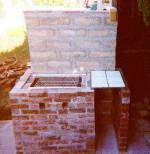 Concrete or cinder block brick barbecue plans - detailed instructions - older design.